It started with a cantaloupe-and-indigo dawn, the Antipodean sun rising over a limitless horizon, climbing into a cloudless sky at the start of a picture-perfect day. Cockatoos and swallows danced on a warm north wind, the pine and eucalyptus trees scenting the air in verdant Albert Park. Not even the vaguely hallucinatory gauze of jet lag could blur the luminous clarity of the light. It is a long way to come to watch Formula 1 but, for novice and grizzled veteran alike, there is a uniquely special quality to the first race of the season - especially here in Melbourne. "It is one of the best races of the year," said McLaren's two-time champion Fernando Alonso. "All of us made our debut here in Australia, so there are good memories. The whole city gets behind the event, quite excited, so it's a nice atmosphere around the GP. 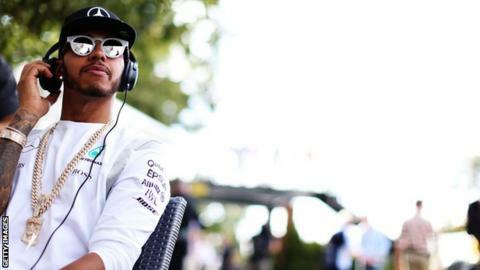 "And normally after a long break, new cars, always new regulations even if they are very small tweaks, there is the excitement of how they will be. "This adrenaline is probably exactly the same every 15 years I came here." The 34-year-old Spaniard did not race in Australia last year as he was recovering from concussion sustained in a crash in pre-season testing. And had he done, he would have been at the back, so uncompetitive was his car. "I missed it," he said, "and am happy to be back." F1 drivers can sometimes seem to have a somewhat sheltered and closeted existence, especially if they are multimillionaire icons of the sport. But Alonso hit the essence of Melbourne's appeal on the head. Walk into the park outside the track from St Kilda Road, and the first thing you encounter after the ticket booths is a kids' zone, where children can try out golf, cricket and football. Nearby, a live band were playing. At 11am on a Thursday. Cross the lake on the plastic pontoon and the approach to the entrance to the paddock, where the drivers and teams are based, is a cavalcade of glamorous cars. Fans mass alongside the road from the car park to the paddock and - to a man - the drivers stop and sign autographs on their way in, in the midst of typical Aussie informality. Pass the cafe set up outside the media centre, present your pass to the electronic paddock gates and bleep your way inside and the laid-back ambience continues. Under the totalitarian rule of F1 tsar Bernie Ecclestone, most grand prix tracks these days are interchangeable - the pit building and team HQs separated by vast expanses of concrete. Melbourne, too, is feeling the effects of new money. This is the 20th anniversary of the first Australian Grand Prix in Melbourne and the city has changed a great deal in in that time. It retains its liveable feel, but butting up to the historic centre and beach area of St Kilda is now an increasing number of high rises. And on the way into town from the airport, I counted more than 30 cranes building more. The property boom has led the local authorities to pass a temporary law imposing restrictions on development, but inside Albert Park time moves more slowly - at least until the cars take to the track. Behind the garages, garden chairs, tables and umbrellas are laid out on lawns, some just for the teams, some for anyone to sit down and relax. A path runs downs the length of the paddock; more grass fronts the teams' temporary buildings. It all engenders the sense of camaraderie that inevitably accompanies an event at which the thousand-plus people who make up the F1 travelling circus are catching up after a winter locked away focusing only on their own thing. When the weather is hot as it was on Thursday, the general sense of well-being is enhanced. But so potent is the vibe here that very little can puncture it. Even rain is welcome in its own way. If anything, Melbourne's notoriously changeable weather only makes things better. There's nothing like a shower or two to ramp up the unpredictability, especially on a street track. Whatever the weather, one thing is certain - Friday's first day of track action in 2016 will start with the early morning alarm call of a two-seater F1 car taking fans on laps of the track. The high-pitched wail of its V10 can be heard across town and is for many an awkward reminder of a time when F1 was more like it should be. For others, it is an annoyance - waking them up too early on a weekend when the race timetable is shifted later in the day to catch more of the all-important European television audience . And also an anachronism. White noise; sound and fury signifying nothing. For them, the new turbo hybrids, while certainly quieter and less dramatic, are the sound of the future. A future that is already here, marked by what can only be described as a technological revolution that has seen the engines' ability to convert fuel-energy into performance rise from 29% to 50% in less than three years. That's F1. Always striving on. Always looking forward to what's next - a mood encapsulated perfectly by the race that brings the curtain up on a new season every year. Who will win the F1 season opener in Melbourne? Who knows their F1 tracks the best? Read more on Formula 1: Who can win the F1 track memory challenge?